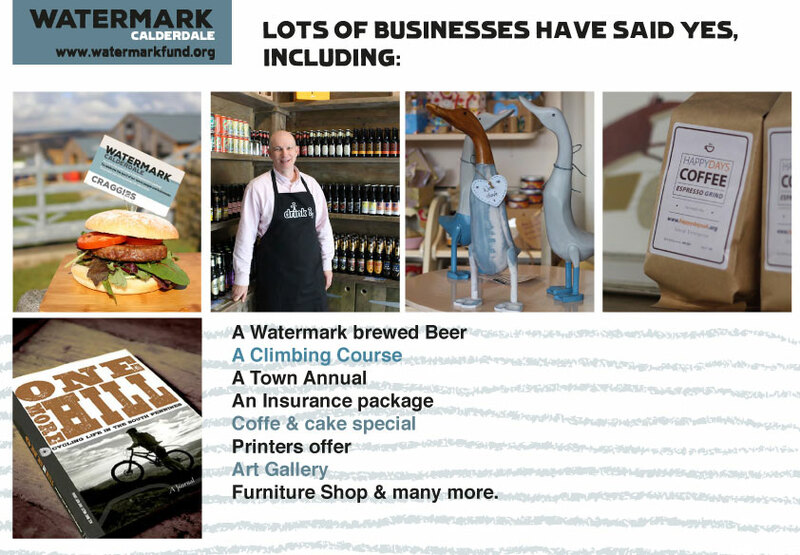 UPDATE: Since Watermark campaign was launched in 2016, it has raised over £350,000 for a flood resilience fund against future flooding in The Calder Valley communities. All raised by local groups and businesses under the Watermark banner. 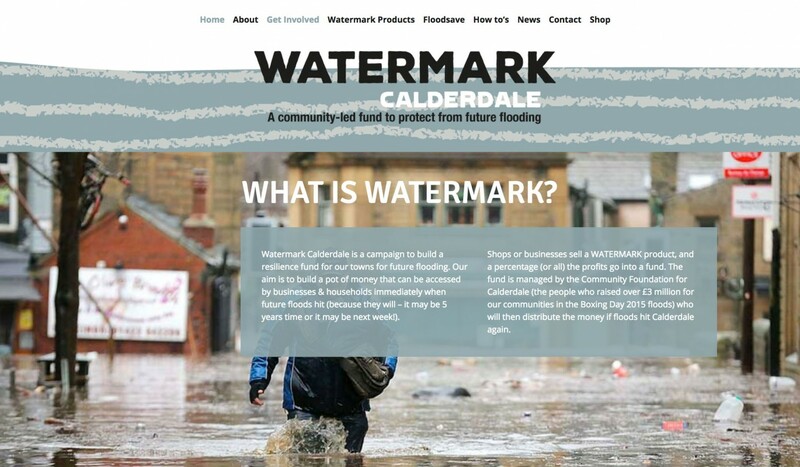 The Watermark campaign has also helped to raise the profile of the Community Foundation for Calderdale to a much highr level, due to their funding of the project and distribution of money raised throughout the floods. Its a real cae of brand enabling people to understand what they are involved in, and one which helps a community to pull together for a greater cause. Despite only minor flooding happening since the 2015 disaster, businesses and organisations continue to donate to the fund, with a realisation of ‘It’s not IF we flood again, it’s WHEN”. When it does happen, funds will be available immediately to help the community, under the Watermark Brand. This week we launched ‘Watermark”. A community led project to bring flood resilience to the Calder Valley. I came up with this idea after the 2012 floods in the area I live in, but there wasn’t the momentum to carry it through at the time (plus we were exhausted after running Valley of Lights). 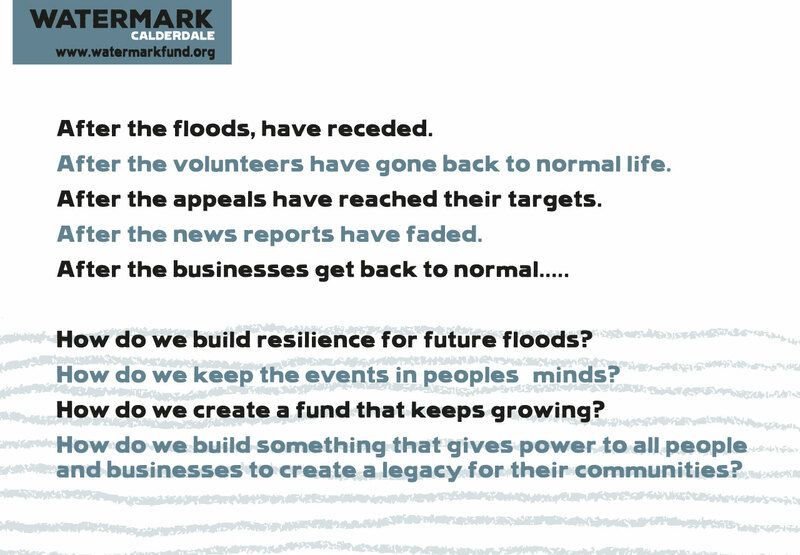 But when the floods hit the Calder Valley again on Boxing Day 2015, I knew this was the right time for a project that gave people, businesses and organisations an umbrella to come under to create a fund for if (when!) flooding hits the valley again. Towns hit were Todomorden, Hebden Bridge, Mytholmroyd, Sowerby Bridge, Elland & Brighouse. The destruction was huge. Many businesses are still not open 3 months later, and some will never open again. So Watermark was my solution. Give the community tools to help themselves – literally “Saving for A Rainy Day” (this is based on the Totally Locally way of working). The launch of Watermark was on 25th April 2016 – nearly 4 months to the day the floods hit. Businesses take 1 product, badge it their “Watermark Product” and a percentage of the sales goes into a pot to be immediately accessed in the event of future flooding. It’s a free to use brand, that you can add to anything you sell, make or do. 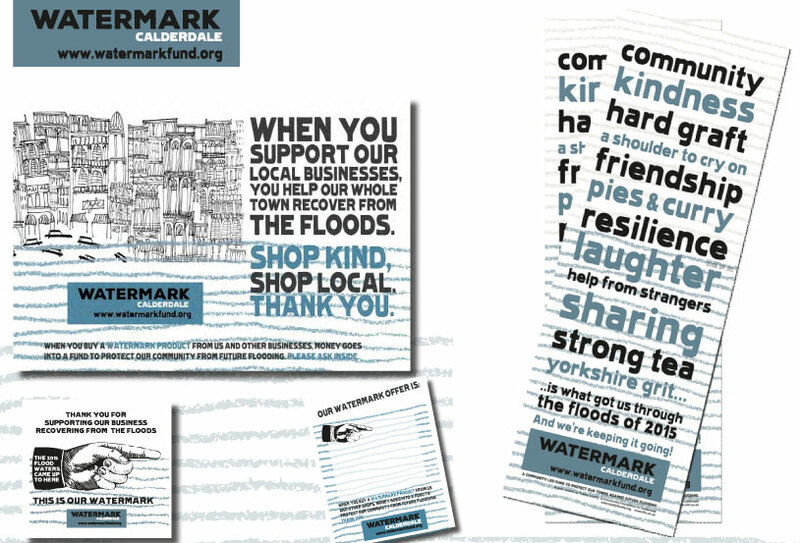 The WATERMARK Calderdale brand says: ‘We support our community in the fight against flooding. If you buy this product, a percentage of profits goes into a fund to help build resilience for future flooding’. This can be a product you make (a beer, a lamp, a book) or something you sell, like a coffee and cake special in your cafe, a leather bag – anything. It can be one product for your business or as many products as you like. It can be special offer at a printers (500 flyers and £5 goes to WATERMARK Fund), an artisan lamp,a course at a rock climbing centre (yes we’ve already got all of those signed up!) or even a huge product like a building service. It can even be something like a special edition sausage for a butcher, or an electrician who says every house re-wire donates £10 into the fund. It’s up to you. You can also run an event or gig under the WATERMARK banner. Here is some of the promo material we designed. If Calderdale towns take all this to heart and we have most businesses offering a WATERMARK product or service. The PR alone would make it worth while? If ONLY HALF the businesses flooded in 2015 sold a Watermark product or service, and they only paid in £10 per week, after a year the future flood pot would be worth over £312,000. …. and then lots of other Calderdale businesses who weren’t flooded but want to lend their support to the campaign – what if they joined in too? It doesn’t take a lot of imagination to realise just what a big impact Watermark could have. Our region is still getting back on it’s feet after the floods. Many businesses still closed and households still not habitable. This is us looking after ourselves and each other. The giving may not be there next time. Especially if flooding happens again soon. The Government’s Flood Re initiative has been developed to help households built before 2009 in case of future flooding. This doesn’t help businesses or newer homes! The massive amount of giving after the 2015 floods was incredible. but if floods occur again we need to be more resilient. WE NEED TO HELP OURSELVES! I put this project together under the Totally Locally banner with funding and support from the fantastic people at Community Foundation for Calderdale – the people who raised nearly £3million for flood relief in Calderdale this year. They will be handling all money generated by Watermark and will be responsible for its distribution if floods hit again. 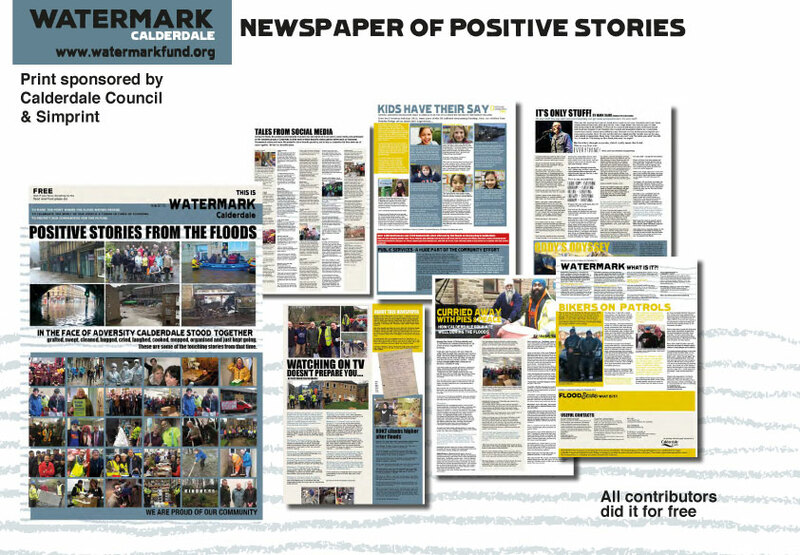 We are also doing a newspaper of all the positive stories that came from the floods. And there were many – mainly about how a whole community came together to help each other, and people of all nationalities, religions and from all over the country, came to help too. 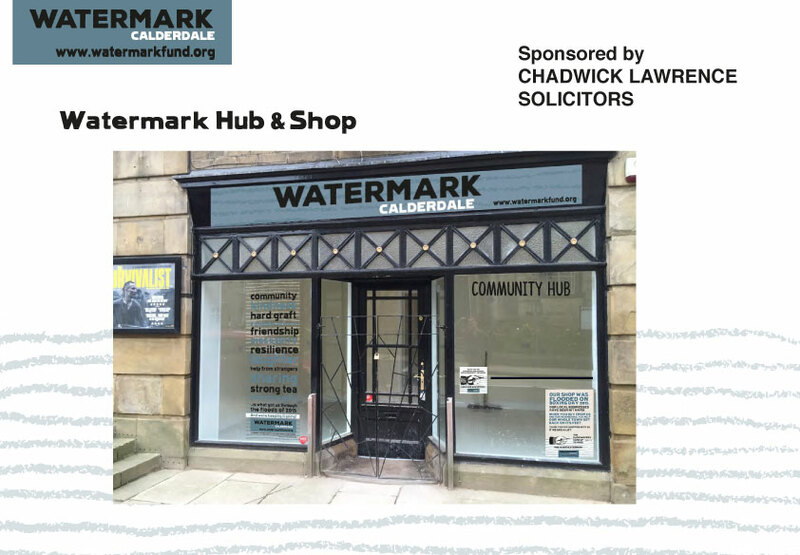 Solicitors Chadwick Lawrence (Halifax) have sponsored a shop / hub for Watermark & all flood related projects in Hebden Bridge. Which is just amazing. 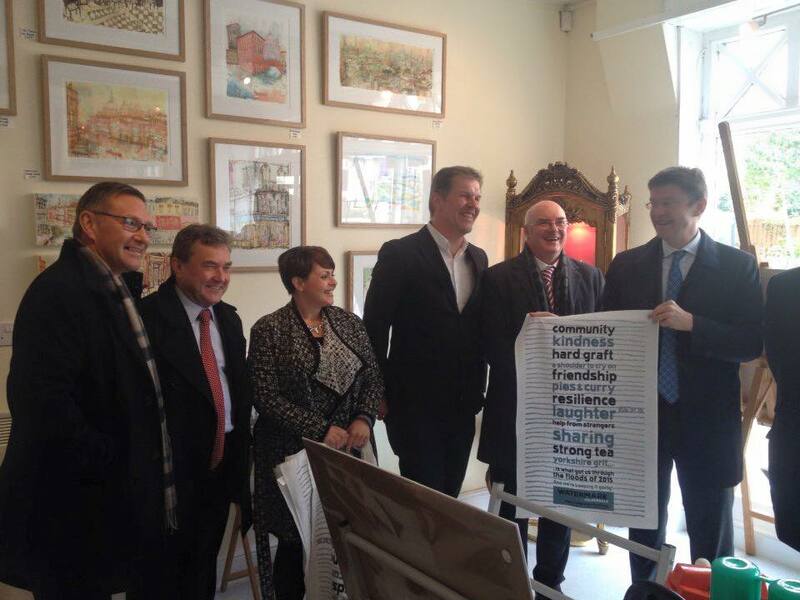 Greg Clark, Secretary of State for Communities & Local Government came specially to hear how Watermark worked, 4 days after the launch. We spent the afternoon with him, took him to see some of the businesses involved and showed him round the area, had a swift half at Drink? 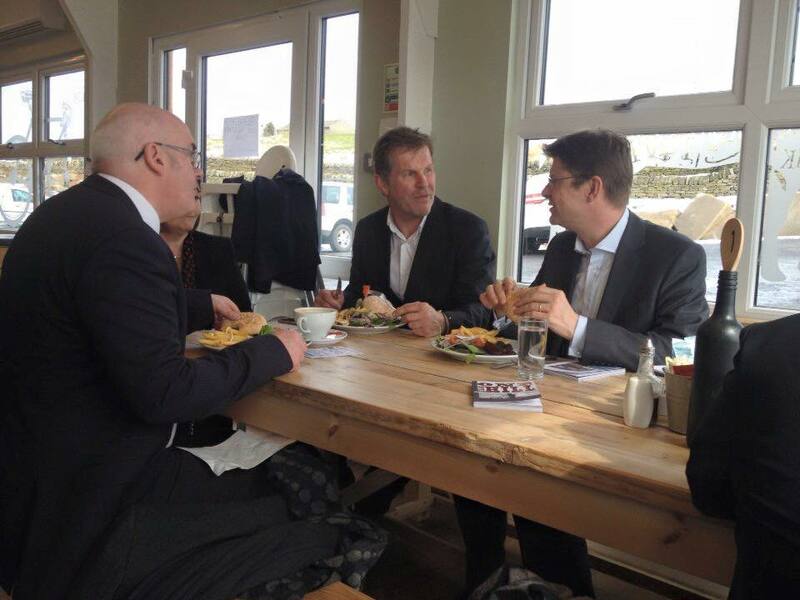 in Hebden Bridge (one of the first businesses to sign up to Watermark), then had a bit of locally sourced lunch at Craggies – A Watermark Burger no less (with £1 of every meal going into the fund).